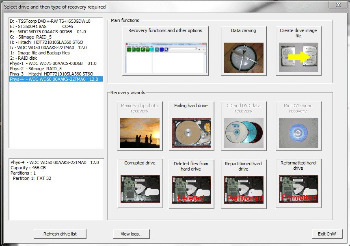 CnW Recovery portable is a program to recover and restore data from all CDs, DVDs, hard drives and memory chips. It recovers data from damaged and corrupted disks, memory chips, CDs and DVDs. It optionally provides a large amount of forensic analysis of the media including partial files, deleted files as well as data stored in unallocated space. The comprehensive program is configured with many options ranging from basic data recovery of CDs, and camera memory chips, up to full and automatic forensic analysis of most media. Full logs are created for the forensic applications, along with data hashing for security to verify that data has not been changed since restored. • CnW Blog for news items.